Let’s get Friday started with the start of the Century Series. 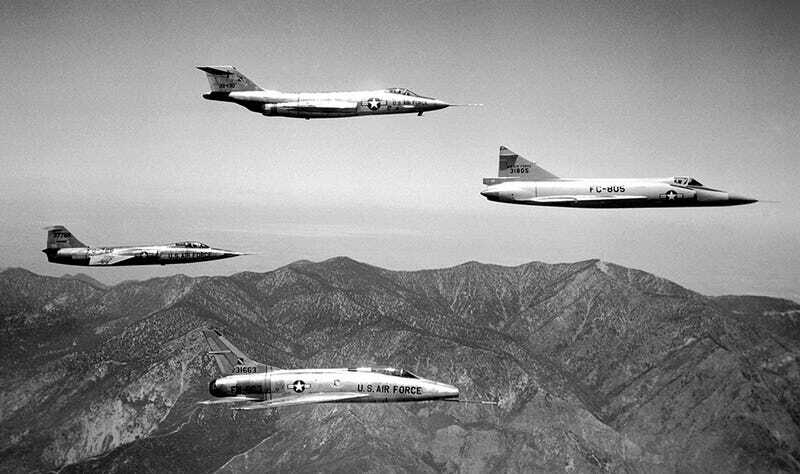 Clockwise from top: McDonnell F-101 Voodoo, Convair F-102 Delta Dagger, North American F-100 Super Sabre, Lockheed F-104 Starfighter. The F-103 was never built.